In a recent blog post I wrote about finding sources in hidden places, the archives. I continue to find more such sources, from indirect angles of inquiry. While researching Samuel Clyde of Cherry Valley, I took a look at his contemporary, neighbor and fellow soldier; Colonel Samuel Campbell. I was able to locate the archives of his family in the New York Historical Society Museum and Library. The archive contains many items, including deeds, debts, indentures, notes, and bills of sale. It is entirely possible that within this archive there might be a reference to the Clyde family. Here is what I found out about Colonel Samuel Campbell and his connection to Samuel Clyde and my Thornton family. Like my Thornton ancestors, it appears that the Campbell Family came to Boston from the North of Ireland, part of the Scots-Irish migration. The Campbells are believed to have come from Ballymoney in the Bann Valley, near Londonderry. The Thorntons, possibly from the Foyle Valley in County Tyrone, left in 1718, settled first in Maine, Worcester, Pelham and then Londonderry. Some of the Thornton children eventually settled in Schenectady, NY and then Cherry Valley by 1761. James Campbell, b. 1690, arrived in Boston in 1728 with his wife and five children. He removed to Londonderry by 1738 and finally settled in Cherry Valley in 1741. He married (1) Jane Humphrey and (2) Sarah Simpson Thompson, 1694-1773 in 1734. He died in Cherry Valley in 1770. 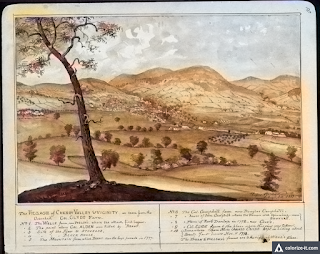 Cherry Valley was patented in 1738 by three men of Albany; Lendert Gansevoort, Jacob Roseboom and Sybrant Yan Schaick. Their associate was Scot-Irishman John Lindsey who moved with his family to settle in the beautiful valley in 1739. Lindsey enticed the Reverend Samuel Dunlop, alumnus of Trinity College, Dublin, to settle and minister to the town. He was responsible for the bringing families from Londonderry, including John Campbell. The families departed by boat and sailed from the New Hampshire port around Cape Cod and Long Island before heading up the Hudson River. I imagine they transferred to the Mohawk River and sailed inland into the Mohawk Valley. The valley remained sparsely inhabited, the majority of the settlers were of Scots-Irish descent. Originally called Lindsey's Bush, Reverend Dunlop renamed it Cherry Valley. 6 . Elizabeth b. 1730 Boston m. William Dickson, died in the Cherry Valley Massacre 11 November 1778. Samuel and his brothers grew to manhood in a turbulent age. He served in the militia during the French and Indian Wars and put what he learned as a young soldier to good use during the American Revolution. Samuel married Jane Cannon in 1768, she died 23 Feb. 1836 at the great old age of 93. Samuel was commissioned in 1772 as a 2nd Lt. in the militia. He was a member of the Tryon County Committee of Safety, He fought in the battle of Oriskany in which his brother Robert was killed. He eventually reached the rank of Colonel. 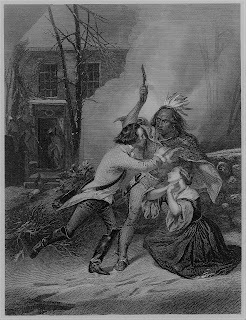 During the Cherry Valley Massacre on 11 November 1778 his wife and children were taken captive and carried away to Canada. He would not see them for two years. After the war Samuel served in the New York Legislature until his death. His son James attended Union College in Schenectady and became a noted lawyer and Judge. On the morning of 11 November 1778 a combined force of Tories and Native American warriors under the leadership of Walter Butler and Joseph Brant attacked the unsuspecting town of Cherry Valley. The results were devastating. Many of the inhabitants were slaughtered including Samuel's sister Elizabeth Dickson along with several of her children. The lucky, like Jane Campbell and her children were taken captive. Jane's father tried to protect the family as Samuel was away, but to no avail. Surprisingly the Native warriors let the old man live unharmed, but took his wife captive. When she was deemed to feeble to make the trek north, she was killed, her body left where it fell. James S. b. 1772 m. Sarah Elderkin 1799, d. 1870. New York Historical Society Museum and Library, "Guide to the Campbell-Mumford Papers, 1719-1980 (Bulk 1793-1892) MS 98", Biographical Note for the Campbell Family, (http://dlib.nyu.edu/findingaids/html/nyhs/campbellmumford/dscref12.html : accessed 29 December 2018). 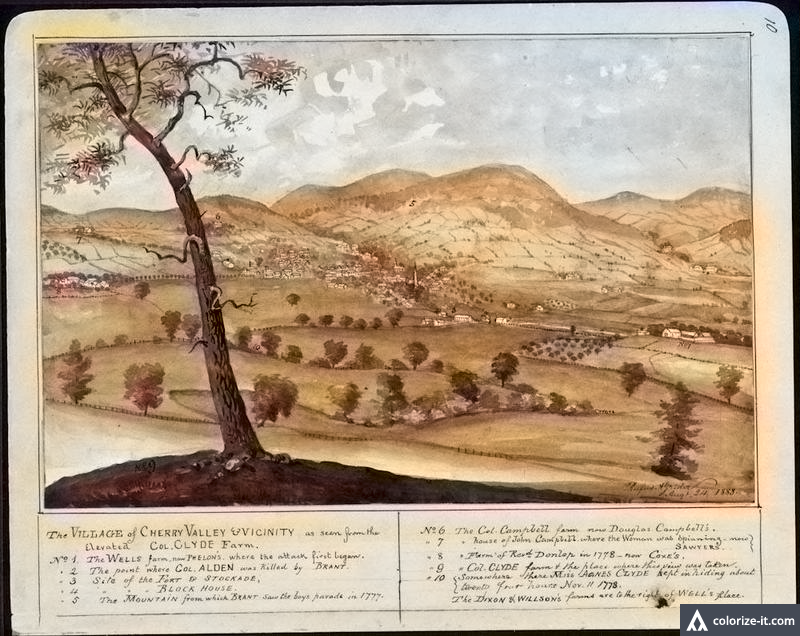 Henry U. Swinnerton, “The Story of Cherry Valley,” Proceedings of the New York State Historical Association, vol. 7, 1907, pp. 74–93, ( JSTOR, JSTOR, www.jstor.org/stable/42889875 : accessed 29 December 2018). Pickett, Angelo Campbell, First Four Generations: The First James Campbell of Cherry Valley, New York And Some of His Descendants. (Riverside, Calif., 1942). Greene, N. (1925). History of the Mohawk Valley, gateway to the West, 1614-1925: covering the six counties of Schenectady, Schoharie, Montgomery, Fulton, Herkimer, and Oneida. Chicago: S.J. Clarke. 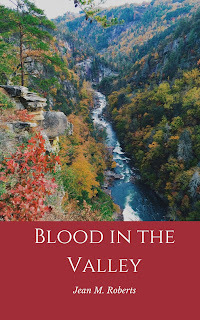 Read about Samuel and Jane Campbell in my new book: BLOOD IN THE VALLEY, out now on Amazon.com.